Looking for a bit of clarification on this. 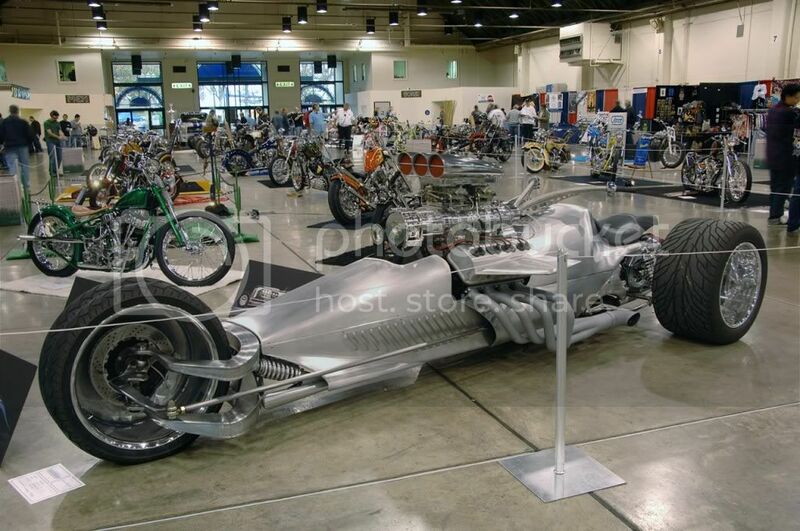 In the old rules, 2006, Appendix D, page 42, Trike/Cyclecars were included as motorcycle types. In the 2012 rules, these classifications appear to have been dropped. Is anyone else interested in these things? 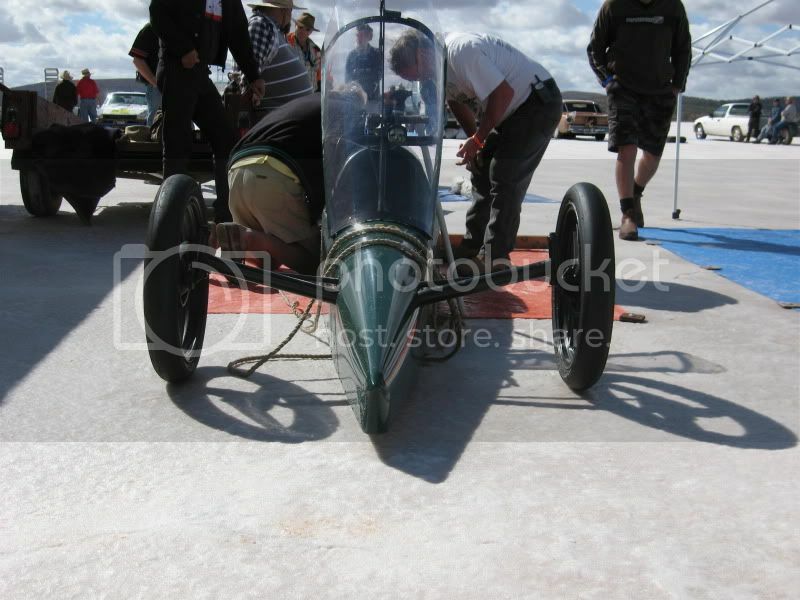 Ross, I saw a green cyclecar at the 2010 Lake Gairdner, dont recall who the gentleman was. 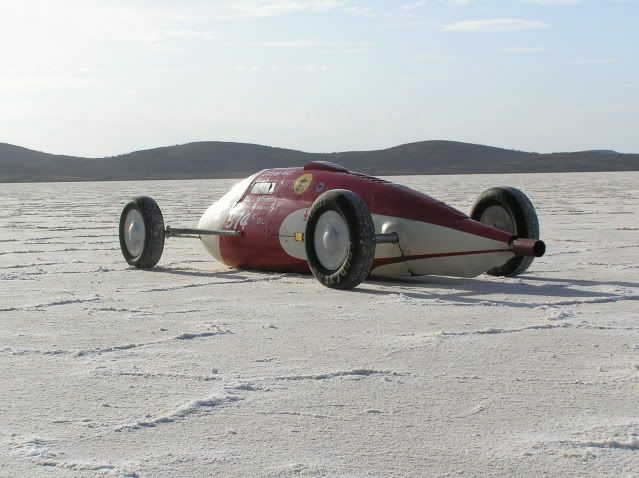 Powered by a 650 Triumph engine in the rear driving a single rear wheel. Not sure about the stability of 2 front wheel steer/single rear wheel drive versus single front wheel steer/2 rear wheel drive. Always had a fascination for the Morgan 3 wheelers. Like what you are doing, just following quietly. 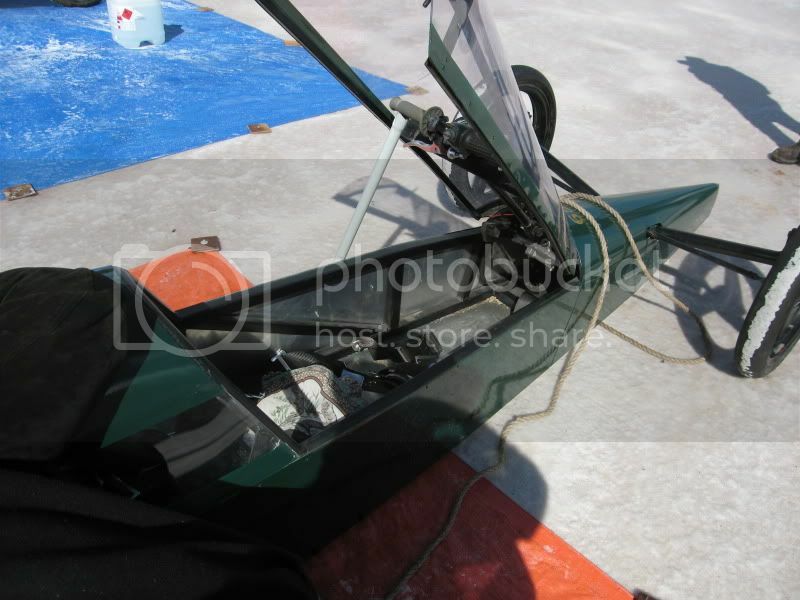 Will reopen the "fast fiberglass" diary when it comes time for the body to be built.. This one, its the only one i have, thought i had one from the front. Dave, yes, that's the machine, not sure how he went, maybe he might see this thread and let us know. Ross, I'm amazed at how much work you get done, you're an inspiration. You might like this one! maxwaterline wrote: Ross, I'm amazed at how much work you get done, you're an inspiration. The picture is fine. Your computer deserves to go to the museum to rest in peace like it wants to. I've got a decent machine at home that doesn't get used any more and it's only a few years old. I'll get it to you at some stage once I get the family photos off it! Whack a sticker on your bike with my name on it as a sponsor! BTW - Love those valve covers!!! 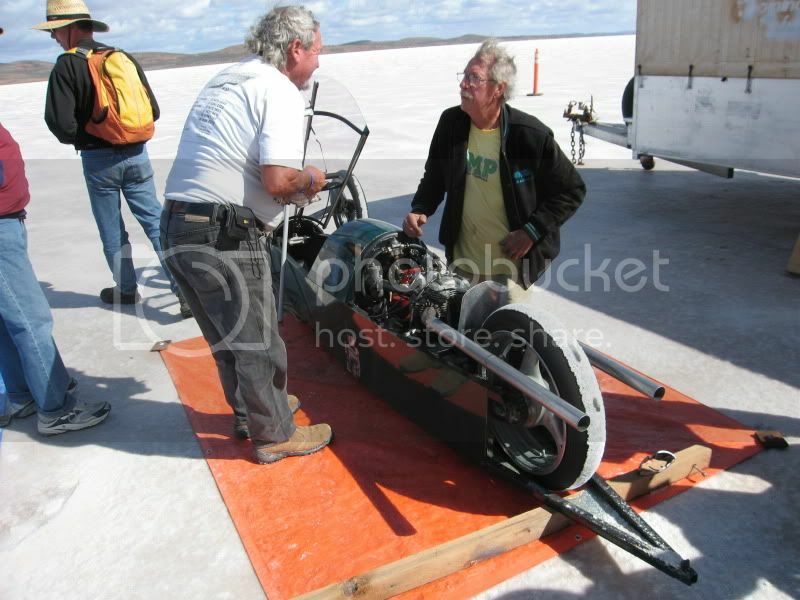 Some of my pics of the trike...... I love it! That BRG Triumph sure is nice, isn't it? The silver three wheeler is another dream machine from our friends at Blastolene, the people who built Jay Leno's giant tank-engined roadster. There is a really good article on the trike in a back issue of TRIKE magazine, a really interesting Pommy quarterly that normally has more than it's fair share of strange and badly made trikes with either V8 engines and park benches or Reliant engines and sprung solo seats and solid rear ends. That supercharged Hemi is claimed to have 1,000 bhp and gets 3 mpg. The wings on the rocker covers normally have headlights underneath and blinkers on the tips for road use. Might be fun to ride! David Leikvold wrote: That BRG Triumph sure is nice, isn't it? The silver three wheeler is another dream machine from our friends at Blastolene, the people who built Jay Leno's giant tank-engined roadster. There is a really good article on the trike in a back issue of TRIKE magazine, a really interesting Pommy quarterly that normally has more than it's fair share of strange and badly made trikes with either V8 engines and park benches or Reliant engines and sprung solo seats and solid rear ends. indeed, and he'd already burned 160 gallons of nitro....but , ya know, it ain't built for comfort, it's built for speed. 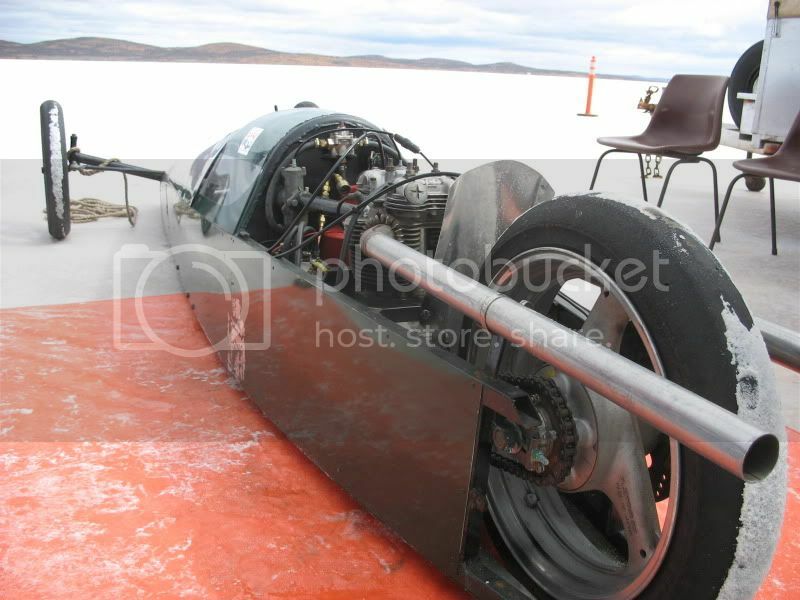 Actually , he "re-tired" it every third run............. the close look I got at it showed the big MT's on the back were threadbare on their second run, it was running a "lazy" tune at 4400hp.